This class provides you with the concepts and skills to use PHP and WordPress effectively. You get hands-on practice working with basic through advanced techniques to get the most out of your experience. You will learn the basics of coding for web design, beginning with PHP and advancing to more complex development with WordPress. Finally you will learn about databases and dynamic website content to complete your web design course. A great WordPress Course all in all. 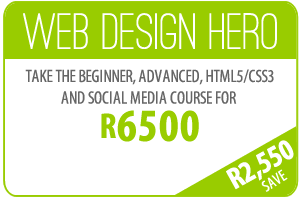 Students who already completed the Introduction to Web Design Course or have the same amount of experience. Web designers that want to learn how to build advanced dynamic websites with PHP, WordPress, HTML and CSS. Anyone wanting to learn how to build dynamic websites with WordPress. We will assume a complete understanding of HTML and CSS and should have a basic working knowledge of working on a Windows or Mac computer. Everything covered in the Introduction to Web Design Course. We typically supply detailed course notes or a reference text, or in some cases both. Either way, we try to provide sufficient supporting material so that you can return to your work place with sufficient confidence to permit further learning. There is nothing worse than leaving a course and feeling left on your own. We like to ensure our customers have all the support and backup they need which includes 90 days unlimited support by phone or email. You also get lifetime support through our Resource Center. Come visit us on the South Coast of South Africa. Durban weather is mostly great all year round. Study, surf and learn web design.